Home > Special Offers > Service & Parts > Save on Dunlop Signature! Take advantage of our Dunlop Signature sale and save! Get it for only $80! Hurry though before there's no more in stock! 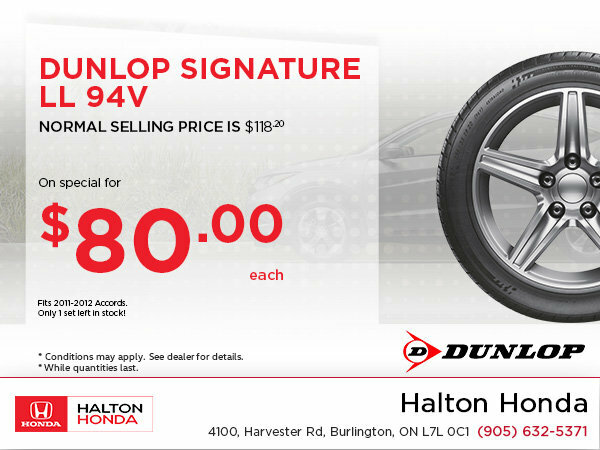 Come visit us at Halton Honda.